The promise of 5G technology was one of the top stories coming out of this year’s Consumer Electronics Show. But what does that mean for the insurance and collision repair industries? A massive increase in connected devices that respond seemingly instantly will bring about important innovations in a range of sectors, including property and casualty insurance and collision repair industries, Mitchell International noted in a recent Industry Trends Report. 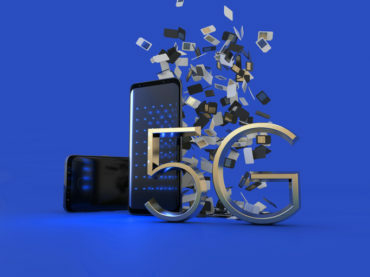 5G – the fifth generation of wireless capabilities – could bring information to mobile phones 600 times faster than today’s speeds and the technology should also be able to serve many devices in near real time. This will impact connected cars, healthcare sensors, thermostats and other devices. As well, the ability for vehicles to communicate with each other and the environment via 5G may signal greater safety on the road, Sun pointed out in the article. It was part of Mitchell’s Auto Physical Damage Report, one of two Industry Trends Reports for the 1st quarter of 2019 (the other was the Casualty Report). For example, with embedded sensors, vehicles could crowdsource information about weather, road conditions and hazards, and share it with other vehicles in real time. But increased vehicle complexity may also signal increased repair complexity. As Jack Rozint of Mitchell’s auto physical damage business report explains, as advanced driver assistance systems become more prevalent, repair facilities “must be prepared to fix, and heed the advice of, a computer network on wheels.” This is a pattern that is likely to escalate as 5G drives the adoption of increasingly sophisticated onboard computers. When will 5G arrive? It may be several more years before systems in that will make vehicle-to-anything (V2X) communications and remote robotic surgery a broadly shared reality, but it’s probably sooner than later.